It is very simple; All things being equal, people do business with people the know and like. Sure, you can have superior quality or lower prices, but as long as your competition has very good products and services, and similar pricing....you have no real advantage when it comes to features, benefits and costs. Years ago high quality service and a great product were selling points because not every vendor delivered quality. Nowadays having a good work product and amazing customer service skills is just the cost of doing business, as customers will not tolerate the sub-standard. However, most business professionals make themselves crazy selling their customers on the "fact" that their products and services are the "best". The problem is that every claims this credibility and it confused the buyer. It is like being in New York City and wanting a tall building. If you are standing on the sidewalk looking up all the towers look tall, and it probably does not matter if you have the "tallest", anyway. Being the "best" becomes an issue of perspective, and thus muddies the water. Your competition also claims quality (Yes, they do claim to be superior! Just a reminder, they do not go into a meeting and say they are almost as good in your industry), and as long as they can convince the prospect of a certain level, the customer no longer cares who is "best". Instead you must focus on the building a bond with the client that proves to them that you are the best "fit" for their needs. This does not always mean that you show them a long list of satisfied clients, but instead instill a feeling of trust in you as an individual. Buyers want to know that you care about them. They want to like you. They want you to like them back. Because of this, you should try to make everyone you meet a friend. Do things for them like you would for your friends, neighbors and family members. When you do this, you will discover that more opportunities will come your way. Not every person you be-friend will immediately assist you in your journey toward success, but you will find that many will go out of their way to help you reach your goals. Author, professional speaker and business consultant Christine Comaford-Lynch says that "the universe has a perfect accounting system". Think about that for a minute. It is like Karma. Everyone wants those they like to win! Customers use their brains to gather information between two or more competitors, but they use their hearts to select the vendor who they will work with on a specific project. Remember that you need to connect with them in their soul if you want to win their business. Author and sales expert Debbie Mrazek has released her first book, The Field Guide to Sales. It is a good read and a wonderful reminder on how to weather all terrains in regards to the hills and valleys of sales. Experienced and successful sales people know that it requires long hours and much strategy to bring in the bacon. Many others think sales folks have it easy, with big expense accounts, golf outings, fancy dinners, etc.... but it is all hard work. Knowing and accepting what you do well and what you don't do well is one of the most valuable qualities you can have. Knowing your own working style and what really hits your emotional buttons is a benefit when working through issues that are an inevitable part of the sales process. Ignoring or being ignorant to personal strengths and weaknesses can set us up for failure and embarrassment. The advantage to working as part of a great team is that we do not have to cover up our short-comings, but instead we can augment our strengths by partnering with others. We bring to every situation all of our "baggage". When we can see what we are not capable of doing well, we can delegate those tasks to others who can and will do these with expertise. Never feel you have to do everything, instead surround yourself with "A" players and together you will all accomplish amazing things. Two New Podcasts - CEO's of BookCrossing and Fast Pitch! If you did not get a chance to listen to the last two podcasts on the Blog Talk Radio Network, take the time to listen. I interviewed two cool CEO's of unique companies in the social online media arena who shared interesting information about their companies as well as points of view about social networking. Interview with Bill Jula, CEO of Fast Pitch! Special thanks to both Scott and Bill for being part of the Some Assembly Required Podcast on the Blog Talk Radio Network! I used to have a recurring theme on my blog on Friday mornings called "Friday Parade of Random Stuff", where I would write about anything that crossed my mind. It was my personal chance to vent, rant, complain, pontificate and sing from the roof tops. 1. This was a great week. At work, at home, my speaking business, my new book project.... everything went very well and I advanced the ball down the field on many fronts. I like having a productive week and I love seeing those around me achieving their goals. I observed many things this week that were successful and I wake up today happy about the world. 2. Presidential politics and all the media shenanigan's around the candidates is numbing. I used to love the political process, but I just can't take it any more. The new transparency that exists in our society has made the primary process more like watching sausage being made. It is just icky. I wish someone would smack the leaders of the Republican and Democrat parties with a dose of reality. The people do not like how you are doing things. Please find a way to do them better. 3. Many people who use social online networking and media tools on a regular basis forget that not EVERYONE has come over to embrace the online world. It is actually a small number of people who use sights like Twitter and other internet based communities. Sure, these numbers are growing, but they are not pervasive as of yet. By assuming that all are "in the know" they create barriers and cliques...which makes social online networking much less social and more like the hallways of my high school. 4. 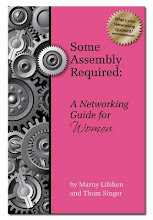 My next book, Some Assembly Required: A Networking Guide For Women is now in the final stages of editing. 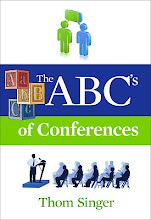 This book, co-authored with business communications guru Marny Lifshen will be available in May. We are excited about the upcoming release of the book, which will be the next in the series of books under the Some Assembly Required brand. If you have not read Some Assembly Required: How to Make, Grow and Keep Your Business Relationships, it is available on Amazon.com. I always appreciate it when people read my books and then drop me a note telling me what parts of it they enjoyed. Thanks! 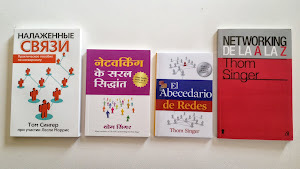 It is from your feedback that I am able to improve the products and also come up with new ideas for future books. The book focusing on women came about because of women who approached me with gender specific ideas and tips. 5. Since I now have the opportunity to do more public speaking, I regularly get asked to send a DVD of my presentations to those who want to hire me. I had never been taped nor created a video, so this is a project that is looming over me for the next few months. 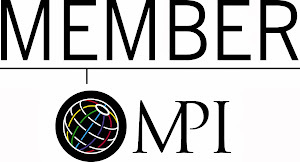 I now have an amazing Speaker's Agent who works with speaker's bureaus to help get me more professional speaking appearances, but this also means I have to create new marketing materials, etc..... To date I have built my speaking business on word-of-mouth marketing, but that is changing. Below is a short video clip of me speaking to a group of lawyers on the topic of business development and networking. 6. Those who read my blog regularly know that in February I set out to raise $1000 for the local Children's Hospital in celebration of my daughter's 6th birthday. I asked the readers of my blog, and those I am connected with on Twitter, MySpace, LinkedIn and Facebook to donate small amounts via the hospital's "MyFundraiser" software. The grand total was $1710. WOW. I want to thank everyone who donated.... it was a fun thing to see the goal shattered by so many generous souls. Every February I am going to try to join together with the readers of this blog to support a charitable cause. Again, THANK YOU. 7. Today can be a great day if you make it a great day. Too many people see the glass as half empty. Dang it...don't be one of those people. Search for the good in every person you encounter and realize that most folks are just trying to do the best they can. It is so easy to tear others apart over small issues. Look at the presidential campaigns. Wouldn't it be fun if we passed a law where on Fridays all the candidates (and everyone who works for them or supports them) could only praise each other. If they had nothing to good to say, or go negative, then they could not have any media coverage for the whole following week. Just one day a week would they need to be nice, but on that day they had to stay "above the line" and positive. Yes... I know, that could never happen in a presidential campaign...but you can do it in your life and on your blog. No criticism of anything on Fridays (Under this rule I would need to remove my 2nd point in this post, as it is technically a criticism). By staying out of the mud and focusing on what is great around us, we would all prosper. Look at how often we all go negative, or accept others being nasty, on so many topics. We point fingers, blame and hate far too often for the overall good of society. It irks me (and I am as guilty of this as the next guy!). Well...there you have it...seven random thoughts that were on my mind when I woke up. Mark your calendars for the next Austin Tech Happy Hour on April 17th from 6 - 8 PM at HiLo (corner of 6th and Lavaca in Downtown Austin). No RSVP necessary, just show up and have fun. For more info visit the website at http://www.austintechhh.com/. This event is a casual, relaxing, networking happy hour for young professionals in technology. Come network, mingle, make new friends, or find your next team member. They welcome people from all areas of the technology industries, including biotechnology, cleantech, nanotechnology, and gaming. This month's happy hour is sponsored by vcfo (the company where I work!). Part of being a human being is that we often get wrapped up in our own view of the world. I do it, and so do you. When our first reaction is to see ourselves as always right, then we are quick to be disappointed with those around us. Looking at any controversial issue... be it political, religious, social or otherwise, we bring to the table our own experiences and points of view that cause our personal emotions and prejudices to rise to the top. We cannot avoid this, as it is human nature. Yet this often leaves us bitter and angry at others. We see this play out heavily in presidential (and other political) campaigns. Just watch the high level of emotions and mud-slinging you see on TV in regards to Hillary Clinton, Barak Obama and John McCain. The hate and disgust that many have toward the ones they oppose is a great example. Most of us do not know these candidates personally nor do we understand their whole life story, so to "hate" them is not right. Sure, we can disagree with their positions on issues, but I reserve "hate" for the really bad guys. I want to be right in all circumstances, but have discovered that there are usually multiple sides to every situation (not just two sides), and I can only see one at a time. Complicated issues are not just black and white. The gray areas between black and white have unlimited shades. When so sure of their own position, people often jump to conclusions without knowing all the details. Swimming in the gray area before fighting the fight always brings perspective. When I forget to be respectful of others and choose to see them as instantly wrong during a disagreement, then I am being short-sighted and small-minded. God, I hate it when I do that! And when I see others do this it makes me sad for them as well. The good news is that I try to learn from every situation I encounter, right or wrong. I know that if I learn, then I am doing something right….even if I stub my toe along the way. My dad taught me not to be "full of myself" and to respect others who have differing opinions. These differences are what make us powerful. When we can work together to find similarities and can work in tandem to create win-win solutions, everyone prospers. When we seek to divide and demonize other people, we all fail. Those who were fans of the Sci-Fi television show "Star Trek, The Next Generation" know that every time Captain Jean Luc Picard asked his crew to execute on a task, he uttered the words: "Make it so". Easy, straight forward, and to the point. It showed that he was confident in the ability of those around him to accomplish the job and certain that together they would achieve. The Enterprise commander cared deeply for his co-workers, and knew instinctively that they were qualified to do their jobs. This is how we should all operate in our careers. Regardless of your job title you should have this level of trust in those around us. When people know you believe in them they are motivated to get the job done. Team work will always lead you to greater success. No person is an island. When we have big goals, we are more likely to reach them if we have others in our life who will work with us. Being part of a motivated and cohesive group feels like nothing else in the world. I recently experienced a day at work where everyone on the team seemed to be doing the work of three people. It was fun and together we accomplished all sorts of things. Everyone pitched in focused on the execution of several projects. It is on days like this when everyone realizes the importance of working with others who are the best at what they do.... working with the "A-Team" makes all the difference. I am fortunate, as I work for a company that is the premier organization in our field, and I see this level of excellence on a regular basis. The team knows how to "make it so" internally and for our clients. This makes work both fun and fulfilling. Sure, sometimes we get busy and there are a million things that can pop up to keep us from getting the job done... but we cannot let those distractions get us off track. Jean Luc Picard and his crew never let little things like the threat of assimilation by the Borg slow them down. You and your team need to just buckle down and engage at warp speed. My ten-year-old daughter began martial arts training three years ago. She was shy, small and not the type of kid one might expect to be in a karate program. But she enjoyed the classes and was naturally good at the discipline of the forms and weapons. The hand-to-hand fighting was never her favorite, but she realized that sparring was part of the program, and thus has stuck with learning to punch, kick, hit, grapple and defend herself. Friday night at her dojo's graduation ceremony she received the rank of "Black Belt Recommended". In three months she will undergo another four to six hour exam to become a black belt. This has not always been easy for her, or for me. It is not fun to watch your sweet kid taking a hard kick to the face from a twelve year old boy who should have pulled back. When something like this happens she has to struggle to fight back the tears while I have to sit on the sidelines and not run to comfort her. She trains three or four days a week, with some additional time at home spent memorizing moves and weapon routines as a new test date approaches. But like every task she encounters, she does it with determination. Sure, she is a ten-year-old girl who gets frustrated when it gets difficult, but in the end she has an admirable steadfast quality that drives her to keep trying. I admire her focus. I did not have this at her age. She has had it all along. I have no idea what her future will hold, but if she can maintain her high level determination and love of learning, she can do anything. Yesterday I had the pleasure to meet Sean Aiken, a twenty-something Canadian who has had a really remarkable year. Like many in his generation (or any generation!) he did not know what he wanted to do with his life upon graduating college. Sean was not going to be happy with leaping into a job that did not suit him and spending his time stuck in the routine of a boring life. He wanted more. Instead he decided to explore his options. Sean decided to take one year to test drive 52 different jobs to fully understand what the world has to offer. He launched a website, www.oneweekjob.com and asked companies around the United States and Canada to hire him for one week. He has traveled far and wide and seen things that most of us can only dream about. Week 50 of 52 brings Sean to Austin, Texas where he is working for the Texas Society of Association Executives (TSAE) as an "Association Professional". This is not just an association.... it is an association of associations! Over the past year Sean has been a stock trader, cowboy, pest exterminator, professional sports team mascot, firefighter, park ranger, radio disc jockey and lot of other cool things (Click Here to read his blog). Each week he works in a unique and different role around North America. His salary is donated to charity (could you imagine if he was paid a salary for each of these jobs? His IRS tax return would require a senior partner from Ernst & Young to figure out!!! ), but this is not about the money....Sean is having an amazing life-changing adventure. Next week he will be working for the Air Force (I wonder if they will shave his long blond dreadlocks?) and for his final week he will return to his hometown and work as the mayor for a week. So what career will Sean select? Seems like his first job is "professional author", as he has a book deal. He has a great story and is the one of the most genuine individuals you can ever meet. I am jealous, as nobody told me at 22 that I could take off and explore the world. Instead I was encouraged to get a job and launch my career and life. I admire his spirit and know that we will see more of Sean Aiken, as I think big things are in his future. 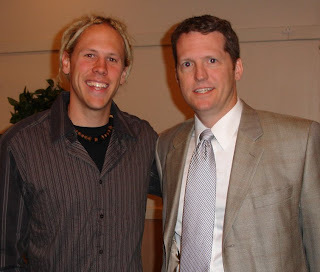 Steve Harper of The Ripple Effect had a simple post on his blog yesterday that I thought I would share. He called it "Getting To IT" and challenged his readers to be sure they are clear on what "it" is in their life that they desire. I know people who want "more" in life, but have no idea what that means. They look at the financial success of other people and they covet the lifestyle and material things. These people "feel" inside that they want the money, toys and fame.... but they are not clear on the commitment necessary to make this a reality. Simply "feeling" a vague want is not enough. You must be clear on what "it" is you are going for or you will forever be adrift. Many are paralyzed by fear. They are scared to announce to the world what "it" is that they want to accomplish. Mr. Harper states that you have to "socialize" your heart's desire amongst your peers, friends, business associates and any stranger on the street who will listen. Tell everyone you can about what "it" is all about. You never know whom might be able to help you. If you hide your goals from the world they will never blossom. Your goals, like flowers, need to see the light of day to grow. Get past your fears of saying "it" out loud and tell those around you all about your plans. See the vision of what "it" is that you plan to accomplish in your life and career. Take the action necessary to move forward everyday. Small steps will lead you to completion of your journey. If you are clear of your direction, then answering the tough questions that pop up along the way becomes simple. Whatever you do, don't just do it half way. Pour your heart into the task at hand and let your soul shine brightly in the work you do. Do not let your mind paralyze you into just doing part of the job. Real success requires you to go all in. Too often people only do the minimum in their career. They put in enough effort to get through the day, but are not fully engaged in being spectacular. For many reasons they hold back. Sometimes it is being lazy, but more often I find people are scared. They over-think every situation and are concerned as much with how their actions will be perceived by the greater community. They fear that if they show their true ambition that some may criticize or that if they select the wrong path that failure would loom and embarrass them. I have a close friend who is writing a book. He has the desire to inspire others and an amazing personal story of success. I read the draft of his first chapter and found that he was holding back on the "low points" in his life. He mentioned some of his personal despair, but failed to open up his heart and share the real traumas he overcame. The whole chapter came out flat, and he knew it, but he was uncomfortable to share the whole story. I challenged him to open up and expose himself fully. To sprinkle the pages with only part of his story would never trigger a reaction in the future readers of his book. Once you decide to put yourself out there, going part way will not produce the desired results. He went back to the drawing board and let his heart flow completely as he wrote about his journey. His words seemed to leap off the page and connected. When reading the new version of the chapter I nearly had tears in my eyes. It was inspiring and I wanted to know more. Those who will eventually read his future New York Times Bestseller will trust his advice once they read about how he got to achieve his own levels of success, and the troubles he encountered along his own journey. Regardless of what you do to earn a living, unwrap yourself from your self-spun cocoon of protection. Like a butterfly entering the world, put yourself out in the sun one hundred percent. Does this make you vulnerable? Yep. But a butterfly cannot expose it's whole beauty and potential to the world, nor could it ever fly, if it stayed inside the cocoon. Life is full of risks, but worse that the fears you harbor of taking the wrong action would be looking back and discovering you never achieved your potential. To reach your personal highs you must first find a way to push out of your shell and do more. You must give it your all and go all the way. SXSWi 2008: "The Art of Saying Hello"
The hoopla over the Mark Zuckerberg / Sarah Lacy keynote at SXSW Interactive eclipsed a lot of the other great happenings at the conference. I blogged about their hour long "discussion", as did about 2 billion other people on the planet. There is a full range of things said about their chat, but I still thought it was just not great. I want more than "blahhhhh" from the keynote address when I attend a major event. Regardless of the controversy, it came up short, pre-scripted and self-serving. I had not blogged about my own speech, but I did have a great time getting to participate at SXSWi,... and was honored to be on the program. My talk focused on "How To Network At A Conference (Like SXSW)" which I think is an important topic at all conventions. One of the major reasons people attend these types of events is for "the networking opportunities", so helping people connect is important! Before the conference I told my friends that I wanted to have more than 20 people in the audience (I actually had a dream where only 3 people came to see me on stage) and I hoped that someone would blog about my talk. Both worked out! I got several emails from people who said that they utilized some of my advice during the rest of their time in Austin .... and that it helped them to make more connections with others at the conference. Today I discover a blog post on a website (taktak.net) that discussed my presentation. Dom Murphy was in the audience and wrote about the talk and his following actions. How cool. He sums it up with the following statement "This networking thing is easy!". Click Here to read his whole post. I don't know Dom, but he made my whole week with his review. Nobody is perfect. There I said it. I make mistakes and so do you. While nobody sets out to disappoint a client, co-worker, friend, or boss, sometimes there are situations when we come up short. So much time is spent trying to cover-up, avoid and justify stumbles that it causes us to lose track of what is really important - - doing better next time! In order to grow your career you have to take some risks. By taking chances, the odds are that sometimes you will fail. I have never looked at the occasional failure as a bad thing. In fact, if you look at every experience as a lesson, then it is possible to make lemonade out of lemons when you do not succeed. Lemons are bitter, but dang, lemonade tastes good! A person I know recently let me down. I knew it, and he knew it. He called and said he was sorry and asked how he could make everything "right". Dang, classy and cool. That shows guts and character. Admitting and facing negative happenings caused by your own doing can be difficult and embarrassing. Nobody likes to publically admit a mess up, which is why so many people try to sidestep, deny and spin situations that fall into this category once the truth becomes known. Politicians and Hollywood celebrities often get in bigger trouble from the cover-up than they would have from their initial mistakes. It is better to just own your mistakes and ask for forgiveness. People are by nature forgiving to those who take responsibility for their actions. To error is human and to forgive is divine.... as long as you are forthcoming. Those who lie, deny and evade are never again viewed the same way. My experiences have been that most mistakes we make are minor, and become a big deal only because we make them a big deal. I suggest when we have a hickup to own the mistake, apologize and go on with our life. The trick is not to make the same mistake twice! I try to learn everyday, and where I fail is fertile ground to plant the best seeds for growth. If you did not hear my teleconference for the Reach Branding Club in February they have it available for free at the below link. You need to scroll down a bit and look for the headline "February Teleseminar Recording"
Do Party Photos On Social Networking Sites Hurt Your Professional Image? I read your article and just started following you on Twitter. A few of us in the Real Estate community have formed a fairly fun, close group on sites such as Twitter, Facebook and LinkedIn. As one of the Generation Y members, I frequently get into discussions and heated debates over Generation Y in the workplace and as targets for marketing dollars. My question pertains to the idea of dressing for success and how it relates to Generation Y. My day job has me in a suit and tie every day. This surprises many close friends, because they know this isn't my personality outside of work. I avoid having my picture online as much as possible, but have finally used a couple as avatars in sites such as Twitter and Facebook. Do you see it as a negative if pictures of someone in Gen Y are showing them in their social life, without any negative elements (alcohol, parties, strippers, illegal activities, etc.) included in the pictures? This is a hot topic. I am 41, and folks my age or older will stay one thing, and those who are in their 20's will argue a different point of view. The question here is what will those Gen Y folks think when they are 40? The baby boomer told the world in the 1960s and 1970's "Don't Trust Anyone Over 40! ".....ahhhhhh, they have changed their minds now that they are in their 50's and 60's. My guess is that your parents had one way of seeing the world in their 20's, and some different perspectives AFTER they had jobs, mortgages, marriages, children, college tuition to pay for, elderly parents to worry about and retirement savings accounts. Go ask your mom and dad if I am right (Heck, maybe I am wrong). With that perspective, I think that this becomes a much more complicated question. To your peers, party pics with booze and half naked friends at a beach party is just part of life. To potential clients who might be older, ...this might appear to be a red flag that will send them running to your competitor. So avoiding those types of pictures is a good idea. I use photos on my LinkedIn, MySpace, Facebook, Twitter, etc.... This helps you build your brand. Humans are visual creatures, so I think NOT using photos in social online networking is a mistake... But choose wisely and always be professional. This does not mean a suit and tie. I rarely wear a tie... but do when it is appropriate. As far as some photos with friends...that is fine, it shows you as human. But I see MANY in your generation with pics that include booze, drugs, sexual situations, etc.... Those might come back to haunt them when they are no longer 20 something. It will be interesting to see if the controversy over the Mark Zuckerberg / Sarah Lacy interview at SXSWi continues to go wild today, or if it will just die out. A friend from the West Coast who read my blog post last night asked me if it could have really been that bad? YES, it was. The first rule of professional speaking is that the speaker / moderator is NEVER allowed to say "Screw You Guys!" to the audience. Lacy had not delivered the goods, and blamed the audience for not loving and adoring her as the person charged with getting Mr. Zuckerberg to say something interesting. She came off as less than professional and not very skilled at leading a discussion in this type of arena (which is okay, because she is a print reporter for BusinessWeek). Some are making her out to be this brave misunderstood soul who got attacked by the mob of techies at SXSW. NOT. She even twittered about her own bravery for going out to all the A-List parties after the day concluded by stating: "going to gawker [party]. If that doesn't show courage after my day not sure what does :)". So now she is a self proclaimed heroine? She is neither some horrible person or a misunderstood maven....she is just a person who blew an opportunity. It happens to all of us. Instead of doing damage control (See this video interview by Omar Gallaga) she should confess to the fact that she blew it and that the interview was out of her element. She got up there and tried to do a good job, for that we all admire her, but it fell short. Taking ownership of the problem is what she SHOULD do to put this to bed. I don't see that coming. When attending conferences we want the keynote address and panel discussions to offer up something. It can be informative, thought provoking or entertaining. Something has to resonate with the audience. The purpose of giving a speech is "giving" to those who are listening. It is not a PR stunt or time for a the person conducting the interview steal the show. People were there to hear Zuckerberg. Instead they got....well golly, I am not sure what they got and I was there to see it! Fortunately every other presentation I saw at SXSWi was either good or great. The panelists, topics and breakout sessions all gave me more than I expected. I have been very pleased with the overall quality of every other event I attended at this wonderful event. Even if Mark Zuckerberg is not a capable public speaker, the audience still wanted something more than the Blahhhhhhh. 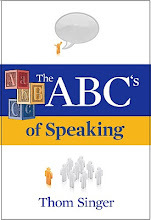 Most big company CEO's know they need to work on their speaking skills to get to the point where they can give more than single word answers to questions they had not scripted. These titans of industry are not expected to be the next Tony Robbins, but come on Mark..... you can do better. I stand by my suggestion yesterday that two active years in a Toastmasters Club would make him a new man. Those who give presentations owe something to the audience. That will vary from event to event and speaker to speaker. That is why the audience revolted in the Zuckerberg / Lacy interview.... they felt short changed. I originally had decided NOT to blog about the train wreck that was the Sarah Lacy interview with Mark Zuckerberg at SXSWi. It was clear from the reaction of the audience that the internet would be buzzing about their keynote address / interview for days to come, and my pontifications would just be "noise". I did make a few comments on Twitter about her poor performance and ability to steal the show from Mr. Zuckerberg, but that was going to be the total of my public opinion. "I would stay away from any comments on Sarah Lacey on Twitter. I just ran into a group of people talking about her presentation and I think there may be blowback but I understand she carries a big stick and I wouldn’t want her to yield that at you my friend. Just feedback…consider it or not. " First of all, if she is the type of person who has a high profile position who orchestrates "blowback" at those who critique her, then she is worse than just a bad interviewer. Second, this interview was another example of "Opportunity Lost". I wrote about this same topic following Zuckerberg's 60 Minutes waste of time with Leslie Stahl in January of this year. Fortunately Mark did not show up in his usual brown Gap hoodie sweatshirt, but instead in a new zip neck North Face fleece. Yet even with the change of warm outerwear, there was little substance in his answers and speaking style. Tomorrow someone on the Facebook Board of Directors should mandate that Mr. Zuckerberg join a Toastmasters Club in the Silicon Valley and participate for the one hour meeting each week for two full years! If this company is going to ever do anything real he will have to give speeches. This is a talent he MUST cultivate or they will continue to have blah results every time he addresses the public. While he claims that they do not really care about the money side of the business.... someone out there (Hello...INVESTORS) does care about making this company profitable and sustainable over the long haul. Looking at my notes from the beginning of the interview I have words like, "painful", "really, did he just say that?" and "lost from topic that matters to the audience" to describe what was transpiring. I am certain when Mark mentioned that terrorists were just like the rest of us: "drinking beer and looking to meet women on Friday nights" that the whole Facebook PR Department gasped in horror. Really? But the controversy that is flooding the internet revolves around BusinessWeek writer Sarah Lacy, who was nervously twirling her hair and shifting her legs all over the place as she tossed questions mixed with her own color commentary at the Facebook CEO. On more than one occasion she mentioned her yet to be released book, in which she profiles Facebook and Zuckerberg. This lead most in the audience to believe (rightly or wrongly) that she was hand picked by the company's PR department to deliver a softball interview. The SXSW crowd wanted more than this from the keynote address. The audience couldn't stand it and revolted. Upon losing control of the interview, Ms. Lacy lost her composure. It was like wolves feeding on an injured rabbit. Not fun to watch. The rest of the night people had lots to say about this topic. I would like to end my rant by saying "WHO THE HECK AM I TO CRITICIZE THEM?" They are the ones who were invited to address the conference in the keynote event. I do not have a company that is valued at $15 Billion, and BusinessWeek does not even know I exist. It is easy to take pot shots at those on top, so I do want to be a little self deprecating as I end here and praise them for what they have each done in their careers that allowed them to be up on the big stage in the first place. That being said, when all eyes are on you, you must deliver more than they delivered this afternoon. "Opportunity Lost" is a huge disappointment to all....even the spectators like myself. I recommend that you google the term "zuckerberg lacy sxsw" and go for a ride to read the feedback. Don't take my word for it. Some people thought it was a brilliant interview! I am having a great time being at SXSWi. This is more than a conference, it is a "happening". Today I missed most of the festivities as my ten-year-old daughter had a major belt test at her Karate School. Four hours of intense examination, sparring, forms and conditioning. She was amazing. To celebrate we had lunch, went to BlazerTag, and then had ice cream. Tomorrow is the day that I speak at SXSWi (Sunday, 3PM on the Day Stage) and I will spend most of the afternoon at the Austin Convention Center. At 5:00 I was able to attend one panel lead by social media guru Tom Parish on "Social Media Metrics". A very smart group of experts lead the audience on a discussion about companies and their needs and wants to measure this new medium of social online media / networking. It was interesting to hear what some are doing to create community and engage their customers, employees and others in active participation on-line. However, those in the C-Suite want to qualify the metrics of what this all means. Adopting a social media strategy means that a company gives up control of the messaging, which frightens the pants off of many executives. But people are already talking about your company on the internet...., regardless of your position on social media, you have a "customer experience". Social media is a set of unstructured conversations and the message that rang loud and clear from the panel was that it is not going away. How can social media effect your world? A great example took place in the middle of the presentation when an audience member stood up and announced that there was lots of twitter traffic happening live in the room wanting the panelist to stick to the topic of "metrics", as they were talking a lot about how social media can effect marketing, etc... but not satisfying the attendees desire to hear about the ever elusive metrics. If this can happen here, it can happen just as fast for a business that does not live up to its brand. Is your company ready to manage the changes that are coming with the overly increasing wired world? If not, then you may be a dinasour. I am very excited this year's SXSW Interactive Conference. I have the honor of speaking on Sunday at 3:00 PM on the Author's "Day Stage". 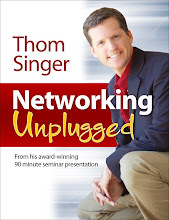 I am doing a book reading from "Some Assembly Required: How to Make, Grow and Keep Your Business Relationships"....but I will focus on networking at a multi-day conference. The keynote for the conference is on Sunday at 2 PM, featuring Mark Zuckerberg from Facebook. Thus, one might say that he is my opening act. Okay, only I would say that....but I do speak immediately after he concludes. Additionally, Penelope Trunk (blogger Queen of the universe) follows me on the Day Stage at 3:30. Thus I am in a Zucker-Trunk sandwich. Today I got to meet Hugh MacLeod of Gapingvoid.com fame. He is a blogger and cartoonist extraordinaire. 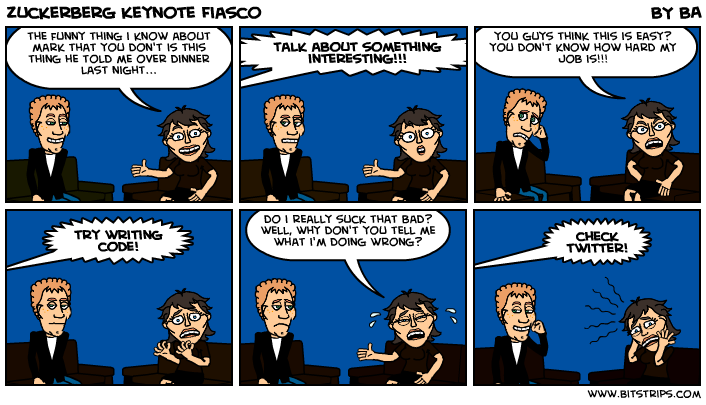 He autographed a copy of my book, "The ABC's of Networking" with a little cartoon. How cool is that. This is the first time that someone has autographed my own book and gave it back to me! Anywho...I am looking forward to meeting all the cool folks who are in Austin for SXSW whom I have come to know via the online social media communities. Is life one long lesson? I think so. I try to learn everyday and be a better person. Maybe some days I succeed. I have seen the speech by Dr. Randy Pausch on the internet before. He is the Carnegie Mellon Professor who is dying of pancreatic cancer who gave a talk in August 2007 about living life that has been downloaded on the internet over one million times. Take the time to watch the video. It will make your eyes tear up, but it will inspire you. "The brick walls that are in our ways are there for a reason, they are not there to keep us out, they are there to give us a way to show how much we want it"
"It is very important to know that if you don't achieve your dreams you can still get a lot by trying for them! Experience is what you get when you don't get what you want." If this dying man can look at life with such optimism, why can't the rest of us? How we live is a choice. One of the main reasons cited for attendance at industry conferences is the "networking opportunities", however few people actually do a good job of taking advantage of making meaningful connections with others who are present at these types of events. In order to meet people at a conference who could become part of your network, you must take the initiative. Creating enough of a relationship to build upon will not happen by accident. You have very little time to connect with people in a way that will allow you to follow up once the gathering is over and you all return home. 1. Be friendly. Other people also want to meet cool people at conferences, but they may not be very outgoing. Because of this, people from similar industries and interests can sit next to each other in breakout session and never have a conversation. If you want to meet people, say "hello". You will be amazed at how easy it is to start a discussion with others once you say something to them. 2. Attend the breakout sessions that interest you most. Often when you attend a multi-day conference you will have choices of topics to attend throughout the event. Select the ones that interest you the most and then remember that the others in the room had picked this session because they have something in common with you. 3. Take advantage of the breaks, lunches and happy hours to network. Too often people go into a bubble during breaks to check their email and voicemail. They either run to their room or are off on the side tapping on the blackberry. These social times are the most important tools you have to talk with others. It is at these breaks that you can chat with others and make plans to join them for other sessions or other activities. 4. Never eat by yourself or with co-workers. Eating a meal alone or with someone from your office is opportunity lost. Whether it is a scheduled group meal or "dine on your own", if you are not sharing your meal with other conference attendees you are missing out on ways to make real connections. Humans are social creatures dining together is an easy way to create bonds. Seek out others whom you would like to know better and join them for a meal. 5. Follow up is the key. After you have met a bunch of people at a conference, seminar or convention and return home is when the real important part of networking begins. Just meeting someone does not make them part of your network, it makes them someone you have met. Real friendships are cultivated over time, and therefore you must make the effort to keep the relationship with your new friends alive. Do this by sending them a follow up note or email letting them know how much you appreciated meeting them and them look for ways to continue to contact them from time to time (not too often, don't be a stalker). Not everyone you meet at a conference will become a life-long friend, but some people can develop into very important connections. You never know until you try. Today is the big day. Texans go to the polls to vote in the US presidential primaries. The Democrats have a historic choice, Senator Hillary Clinton or Senator Barak Obama will soon clinch the nomination of their party (some think today, but I doubt it) and the winner will face Senator John McCain in November. Both Clinton or Obama will bring a campaign of historic proportions. But only one will bring a new tone to the election season, as I believe that Mrs. Clinton will deliver us another bitterly divided election ("us vs. them" and "Red State / Blue State"...the usual political stuff). I think regardless of who wins the American people want a different type of campaign. But maybe I am wrong...I have been wrong before. Maybe people like it when there is hate, finger pointing and mistrust leading the way in politics. I don't. The below made me laugh a lot. I found it on Todd And's blog, who always has interesting stuff. It sure makes it look like Bill Clinton supports Obama, as his wife has tried to scare Democrats into supporting her with her commercials about experience (her commercials support McCain if you really think hard about it). Only twice in history has a sitting US Senator ever been elected to the highest office in the land (John F. Kennedy and Warren Harding). Many have run, but few have succeeded. This time it looks pretty sure that a third will get there. The good news about this election is the huge numbers of voters who are turning out to participate. Texas has already had four times the number of votes cast in "early voting" than four years ago. Having people vote is what makes the system work. Not voting just leaves it up to the political machine to call the shots. Yuck. So sit back and watch the show. My prediction is that the two Democrats split the votes and nothing is decided today, which will take the fight to the convention. It has been decades since a party had no clear nominee going into a convention, and in this day of pervasive media such a fight could be the real historic part of this election. In days ago, back room deals and private political positioning ruled the party conventions, now it will all be transparent. Like watching sausage being made, not sure anyone will want to see the details. It could be fun. Regardless of if you work at a major corporation, or for yourself, you ARE an entrepreneur and the architect of your own future. You need not have a desire to build your own business empire to capitalize on the "inner entrepreneur" and catapult your career to new heights. 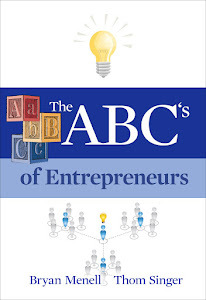 Dictionary.com defines an entrepreneur as "a person who organizes and manages any enterprise, esp. a business, usually with considerable initiative and risk." No matter what your role, you do organize and manage yourself. You are responsible for having personal initiative, as nobody will do this for you. Never forget this part. The key to the definition is "with considerable initiative and risk". We should all take risks with our careers, regardless of if we own the business where we work. To just wake up and go through the motions is a boring way to go through life. Additionally, there is risk to our careers regardless of who owns the company. There is no guarantee that your job will be there tomorrow. Companies change direction all the time, so you need to accept that risk is just part of waking up each day. Risk in itself is not a bad. Taking risks is what allows people and companies to grow and expand their horizons. When we stop taking risks (or at least "calculated" risks) is when the fun part stops and the blahhhh begins. Who wants to be blahhhh? Not me. Take a few minutes to examine yourself and your career. Are you entrepreneurial? Do you take on the ownership of projects within your company? When you have ownership, you are the one who will get the praise for the achievements, but also the criticism for the failures. Being prepared for this is important, as nobody wins every time. I was once asked if someone can learn to be entrepreneurial, or if it is hard-wired into our DNA. I think that the answer is "both". I know some folks who are naturals at this stuff, but others who have had to search for and train their inner entrepreneurial spirit. I have also known people who took risks early in their careers, but stifled those trends once they had created a comfortable life-style. The fear of brave moves paralyzed their growth. Your inner entrepreneur is there, but fragile. It needs to be nurtured and cultivated in order to thrive. The best way to help your inner entrepreneur to reach its potential is to expose yourself to others who live the entrepreneur life. I am a big fan of business owners participating in peer groups such as The Alternative Board (TAB) , Vistage, Entrepreneur's Organization (EO), and/or the Young President's Organization (YPO). These formal exchanges between executives leads to them to stretching their limits. By sharing with peers they can clearly see ways to create greater successes than they could alone. If you are not a business owner you can still create peer groups that will inspire you to excel. Look for ways to be more comfortable with your career initiatives and to take risks. Supportive friends who believe in your abilities will help you to see your own potential. Being isolated or surrounded by the same group for too long will not give you fresh perspectives. You have the keys, now unlock your inner entrepreneur and soar to new heights. 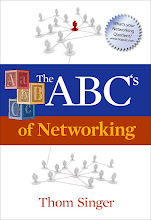 ****Have you read my books, "Some Assembly Required: How to Make, Grow and Keep Your Business Relationships" and "The ABC's of Networking"? You can purchase them right now at Amazon.com. 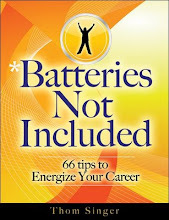 Also, look for my new releases in 2008: "Some Assembly Required: A Networking Guide for Women", "Some Assembly Required - OnLine" and "Batteries Not Included: 66 Tips To Energize Your Career".